Watching sports makes for a great high octane experience filled with talented athletes competing at the highest level wanting nothing more than to win. 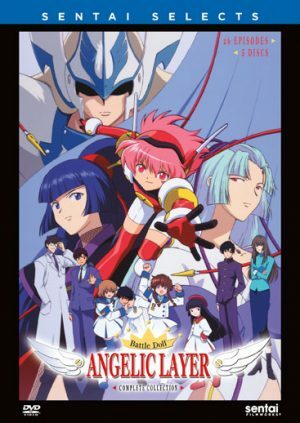 The same can be said for the best sports anime around. 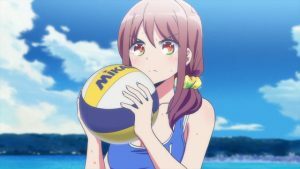 Sports anime give you the same experience as watching real sports and add in much more in terms of story development and make for an experience that rivals real life sports. behind every great sports anime is a team that the viewer can watch and root for. Today, we are going to be looking at the 10 best sports teams in anime. We are going to look at a variety of factors including the quality of the team, the team's record, the synergy of the team, the rivalries the team has, and the individual members that make up the team. Each of these factors shows off the overall quality of the teams in terms of the anime storytelling and in being an actual sports team. In middle school, Ren Mihashi was the ace of the baseball team despite his poor performances in games. The constant losing and believe Mihashi only got to play due to his grandfather being the owner of the school, caused the team to stop trying their best and to bully Mihashi. After his traumatic experience in middle school, Mihashi decided to give up baseball entirely and to attend a school in a completely different prefecture. 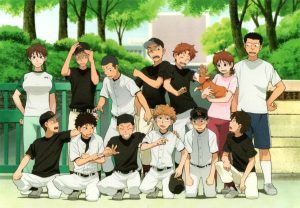 Although Mihashi had no interest in joining the school's baseball team, he is forced to join by the team's coach Maria Momoe. Mihashi gets off to a rough start and is unimpressive to his teammates, especially the catcher Takaya Abe, but after seeing how hard Mihashi works and coming to understand his unique skill set, the Abe and the team accept Mihashi as one of their own and start on their journey to becoming the best team in Saitama. Once the Nishiura Baseball team is able to make full use of Ren's pitching abilities, they become a truly talented team that can hold its own against any opponent. The players on the team are all interesting and have a love for baseball. They are able to help each other out, and they are able to help get the best out of each other when they are starting to doubt themselves. The team is built around hard work and doesn't rely on one start player to help them win their games. 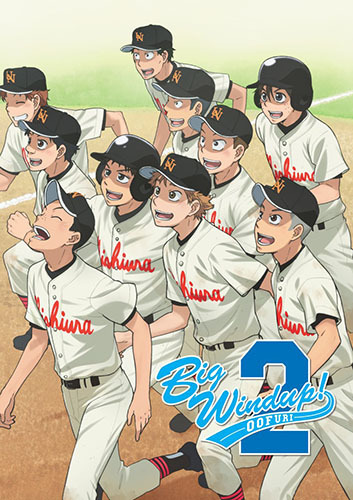 Although the Nishiura Baseball team is filled with plenty of interesting of players with a passion for the game, the team is held back by only playing in three games over the course of the anime. Nana Sakurai grew up loving and participating in Stride, a sport that combines parkour, free running, relay, and sprinting. After seeing a video of the Honan Academy stride club, Nana decided to move to Tokyo and enroll in Honan Academy. Unfortunately for Nana, the stride club is no longer active due to a lack of members. Together with fellow first year and stride lover, Takeru Fujiwara, Nana starts gathering members to join the stride club. 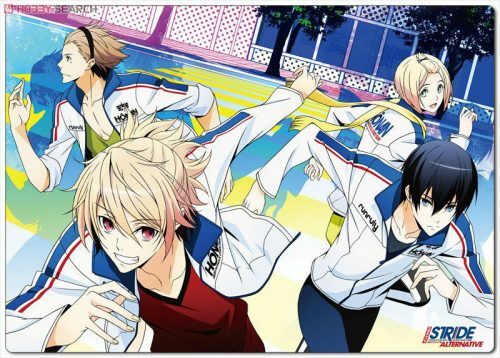 After finding five talented members, Nana and Takeru are able to resurrect the team. With a full team and Nana serving as the club’s manager and relationer, the Honan Academy stride club sets out to bring back the prestige the club once had by winning the End of Summer competition. The Honan Academy stride team is built on pure passion and excellent teamwork for the sport. 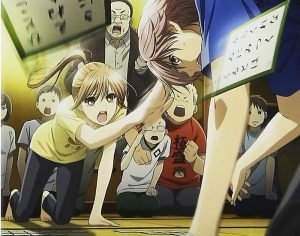 Nana and Takeru were passionate enough to find members to revive the club and other members like Riku Yagami who are passionate about all kinds of sports. The Honan Academy stride team has some of the best synergy seen in any team in anime. Due to the nature of stride, each member has to be at their best for every second of their leg of the race or there will be no hope for them winning. This forces the team to bond close and works hard so that they can all compete at a high level and not let the others down. 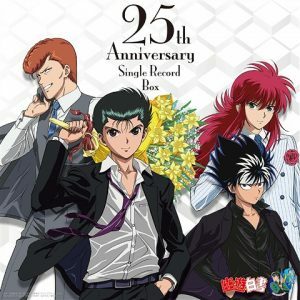 Honan also has one of the better rivalries around with their multiple matches against Kakyoin always being their most exciting. 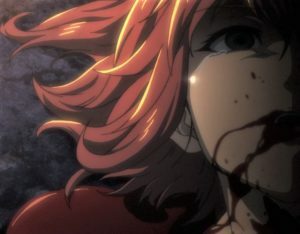 The team also shows its resilience through battling through all of the trials that they face, like Takeru's lone wolf nature and the injury Ayumu suffers during a race. Hiromichi Kojima, the 43-year-old star clean up hitter for The Saitama Lycaons decides he will play one final season in hopes of winning the championship. With the Lycaons being the worst team in the league, Kojima is working extra hard with batting practice in Okinawa to get himself ready, but during his practice, his pitcher jammed his finger forcing Kojima's trainer to look for a replacement. 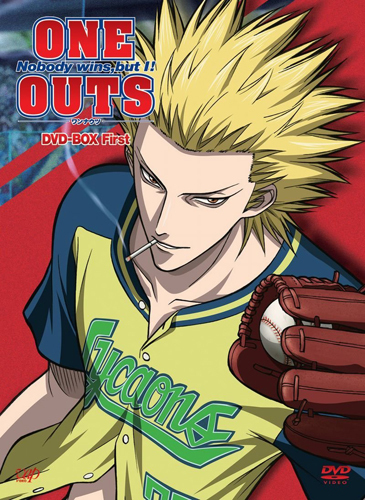 While searching for a new pitcher, the group gets stuck in a gambling version of baseball called "One Outs" where they run into a pitcher named Toua Tokuchi. Although Tokuchi's fastball is unimpressive and he can't throw a breaking ball, he manages to beat Kojima and his pitcher putting them $400,000 in debt. After his defeat, Kojima spends a week in the woods preparing for a rematch with Kojima where he would major his future in baseball. In his rematch, Kojima came out victorious and convinces Tokuch to join the Lycaons and help lead them to a championship. With a team that never wins and a greedy owner who only cares about money, Kojima has put his dreams in the hands of a talented pitcher who has known nothing but the world of gambling. The Saitama Lycaons are built entirely around Tokuchi and his ability to pitch and get in the mind of his opponents. With his unusual style, he is able to take the mediocre team and turn it into a well-oiled machine. While other teams on the list seem to have better teamwork and balance out the contributions of its players, the Saitama Lycaons prove their ability to do anything and sacrifice their individual stats in order to win a championship. 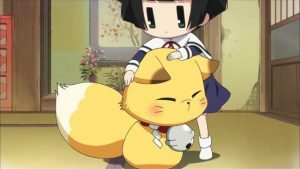 With the other players, cooperation Tokuchi is able to use them as pawns to maximize the effectiveness of their skill and win all of the games over the course of the anime. While not depending on an ace player is nothing out of the ordinary in sports anime, but the unselfishness of the members of the Saitama Lycaons makes them stand out amongst the many sports teams in anime. Tsukushi Tsukamoto is a shy clumsy and unremarkable teenager who has always been bullied and is about to start high school. One day, Tsukushi meets a guy named Jin Kazama who invites Tsukushi to join an indoor soccer match called futsal. After seeing how skilled Jin was and enjoying the game, Tsukushi decides to join the soccer club along with Jin. 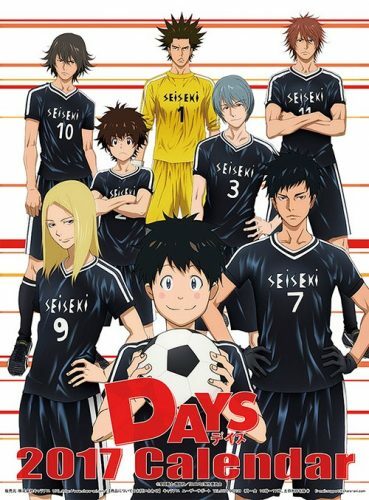 Surrounded by soccer stars and geniuses, Tsukushi feels out of place due to his lack of skill, but with some hard work and determination, he manages to find himself a place on the Seiseki High School soccer team. Seiseki High School's soccer team is filled with many talented players ranging from the genius soccer prodigy Jin, to the players who had to work extra to hone their talents in Tsukushi and the team's captain Hisahito Mizuki. Although some of the players don't get a lot of screen time, you can still see the dedication to the sport and their team. The team has been shown to have a multitude of ways to win even when they weren't able to use their ace Hisahito due to injury. Although the team’s talent rarely lets it down, the team has been able to quickly bounce back from defeat and become stronger than they were before. The Seiseki High School soccer team stands out for its ability to effectively utilize its star players along with its budding talented. Ryouma Echizen is a tennis prodigy and son of famous tennis player Nanjiro Echizen just started school at Seishun Academy, one of the top tennis schools in the country. Striving to be better than his father, Ryouma heads to the school his father once attended to hone his skills against the best competition around. With a team filled with plenty of members to choose from, only the best of the best get to prove themselves as a regular on the team. Ryouma quickly makes a name for himself, as he is the only first-year to battle for a spot as a regular on the team. 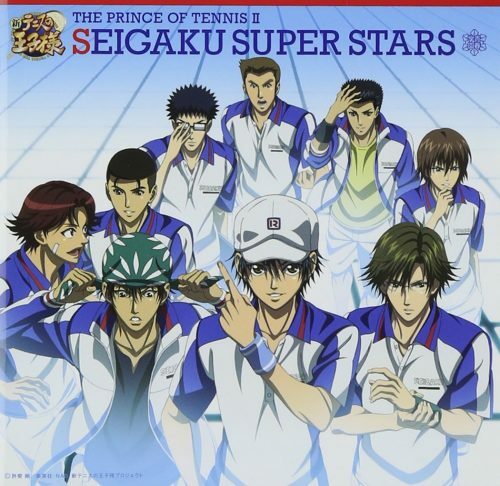 Ryouma and his teammates train hard to become the best skill around and to one day make it as tennis pros. The Seishun Academy tennis club has the largest member count of any team on this list. With a large number of players competing to make it as a regular, only the strongest members are able to make it. This allows the team to always put out the strongest group possible whenever they compete against other schools. Adding a tennis prodigy like Ryouma only strengthened the team and increased the level and intensity of their internal competitions for the regular team. Although the team doesn't get to compete in games together on the court, they still form a strong bond and push each other to be the best they can be. 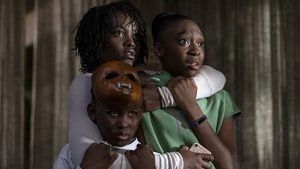 The main characters all get to experience loss at some point and are able to grow from the loss by pushing themselves to get stronger and by getting support from their teammates. Hanamichi Sakuragi is a delinquent who enrolls into Shohoku in hopes of finally getting a girlfriend after being rejected 50 times. Unfortunately for Sakuragi, every student at the school knew of his temper and avoided him. Sakuragi's luck would soon turn when a girl named Haruko Akagi approached him and asked if he liked basketball. Despite having never participated in sports and hating basketball, Sakuragi tells Akagi yes and gets dragged to the gym. Akagi asks Sakuragi to show off his skills and perform a slam dunk. Sakuragi attempts to dunk the ball, but jumps to high and hits his head on the backboard. Although he had failed, his incredible physical capabilities impressed Akagi who told her brother, the captain of the basketball team of Sakuragi's skill. 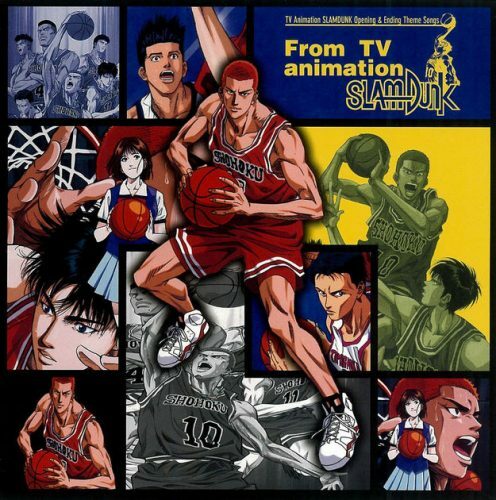 Now Sakuragi finds himself wrapped up in the world of basketball, learning all about the joys of competition and giving himself a new goal to pursue in his high school life. The Shohoku High School basketball team has a strong group of players led by their captain Takenori Akagi. With the new crop of first years including the raw but talented Sakuragi and the skilled Rukawa, the team is able to go from a one-man team focused around Akagi, to one of the strongest basketball teams in all of Japan. One of the most talented sports rosters in all of anime, the Shohoku basketball team uses its plethora of talented basketball players to overwhelm their opponents. The strength of the team comes from the number of star players on its roster, with the team using having the ability to generate points with many of its players and using different tactics. With its deep roster, star talent, and winning record, the Shohoku High school basketball team is one of the strongest sports teams in all of anime. Teikou Junior High School's basketball team was one of the most accomplished teams in all of Japan, winning three straight championships thanks to their starting lineup consisting of five incredibly talented players. 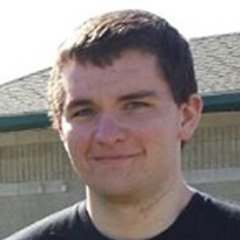 After graduating, the team went their separate ways to attend different high schools. 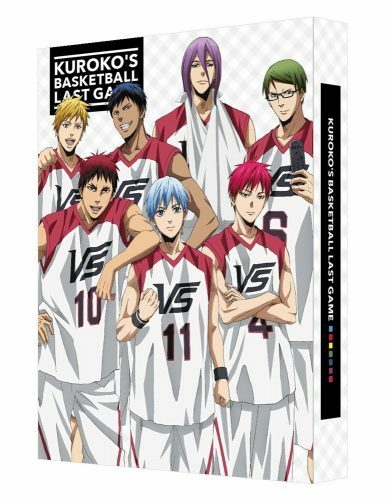 Now during the school year after Teikou's last championship, Seirin High School finds itself with two new first-year players, Taiga Kagami, a talented prospect who spent time abroad in the US, and Tetsuya Kuroko, an ordinary looking student whose presence allows him to move around unnoticed. Taiga has the height and scoring ability one would want in a basketball player, but Tetsuya has a slim frame and can't score even when wide open. Despite his lack of scoring potential, Tetsuya was actually a member of the Teikou championship teams were people called him the "Phantom Sixth Man" who was the facilitator of the offense, passing the ball with ease and style. 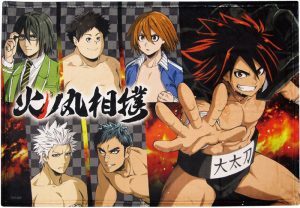 As Taiga and Tetsuya become friends, they make a pact to defeat the five former Teikou members and to help Seirin win the Interhigh Championship. Already a talented team before their two new additions, the Seirin basketball team finds itself as one of the best teams in all of Japan. With star players like Taiga and Teppei Kiyoshi along with role players like Tetsuya, the team finds a perfect balance between its member to create the ultimate team synergy. 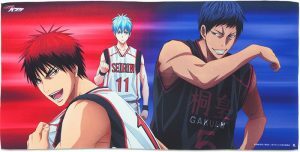 The Seirin basketball team works better together than almost any team in anime, with each player having the skill to perform great but also having the selfless attitude to not want to be the stars of the team. Rivalries are another factor that set the team apart, while many of teams on this list have an interesting rivalry, the Seirin basketball team forms a rivalry with all the members of the Teikou five and their teams, creating plenty of enjoyable matches for the team. Sakamichi Onoda is an otaku who has plans to join his school's anime club and make some friends. However, Onoda learns that the anime club had been shut down and he sets out to find new members for the club. Despite all of his hard work, Onoda fails to find a single member to join the club. One day while riding his bike up the hill to school, Onoda runs into Shunsuke Imaizumi, a skilled cyclist who has been using the steep hill to practice his climbing. Much to Imaizumi's dismay, Onoda is able to keep up with him despite the fact Onoda was using a regular bicycle. Imaizumi challenges Onoda to a race and agrees that if Onoda beats him, Imaizumi will join the anime club. Although Onoda losses the race, he gains an interest in competitive bicycle racing and decides to follow Imaizumi and join the school's bicycle club. The Sohoku bicycle team is built on and use hard work and teamwork to compete in the Interhigh. The team must work together perfectly and utilize their unique skill sets in order to compete in the Interhigh. 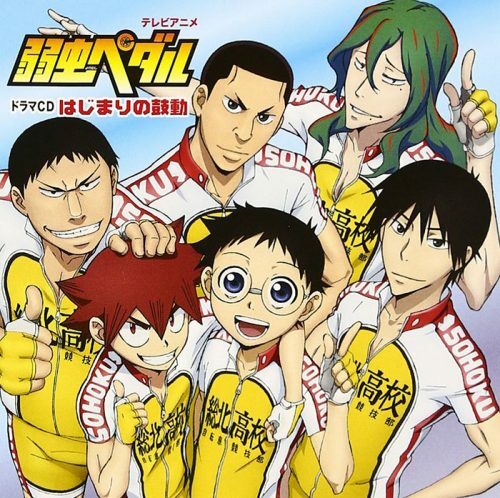 The overall team size of Sohoku's bicycle club is small in comparison to the other teams in the series, especially their rivals Shunsuke Imaizumi. Despite the lack of potential members, the club is filled with incredibly talented cyclists that work hard and are able to propel their team to victory. The one thing holding Sohoku back in the rankings of best sports teams in anime is their lack of competitive matches with there only being one major competition in the anime. With a blend of different styles and personalities, the team has a perfect blend of sprinters, climbers, and the all-around members to compete with the best teams around. 2. Karasuno Volleyball Club from Haikyuu!! After seeing a volleyball match featuring Karasuno and their ace player the "Little Giant" Shouyou Hinata falls in love with the sport. Hinata began working hard and developing his ability to jump and spike the ball. 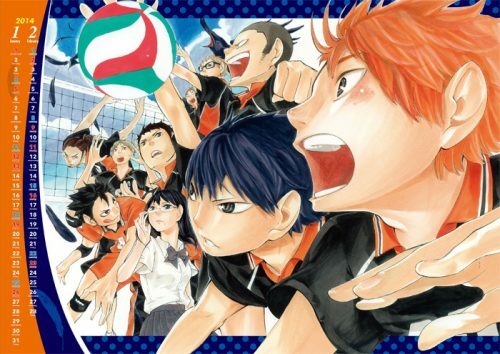 Hinata even goes as far as to revive his middle school's volleyball team, but the first match ends up being the only match when they are defeated by the "King of the Court," Tobio Kageyama. Now in high school, Hinata has joined Karasuno, the team that made him fall in love with volleyball in hopes that he will be a star like the Little Giant. Hinata is surprised to see Kageyama has enrolled at Karasuno as well and will be the setter for the team. Hinata and Kageyama must learn to work together if they hope to be able to find a place on the team. The Karasuno volleyball team is the most talented teams in all of anime. With a deep group of players that all excel in their roles and have plenty of players that can make a difference in a game. The team is able to bond and form rivalries with plenty of other teams throughout the series making for some great matches. Every member of the team strives to get better and develop their skills in hopes of making the team better. The one thing holding Karasuno back from being the best team in all of anime is how they responded to their loss against Aoba Johsai. Despite the loss eventually causing Hinata, Kageyama, and the rest of the team to become stronger, their reaction to losing almost tears the team apart and knocks them down from being the best. After spending most of his life as a gopher for the bullies at his school, Sena Kobayakawa developed incredible speed. While running from his bullies, Sena's incredible speed gets him noticed by a man far more dangerous than any of his bullies, Youichi Hiruma. Hiruma is the captain and quarterback for the school's football and will stop at nothing to get his team to the Christmas Bowl. Hiruma recruits Sena onto the team and makes him the team running back. 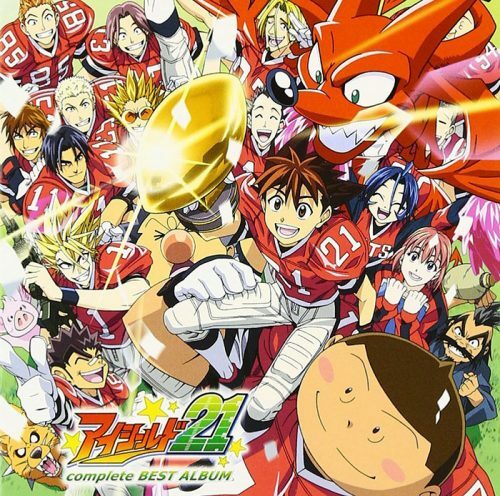 Although Sena is reluctant at first, Hiruma promises nobody will find out about him playing football by disguising Sena and giving him the moniker "Eyeshield 21." With Sena, Hiruma, and second-year lineman Ryokan Kurita, the Deimon Devil Bats hope to turn their laughing stock of a team into championship contenders. The Deimon Devil Bats are an offensively minded team built around a small core of players that through perseverance and hard work are not only the best team in Eyeshield 21, but the best sports team in all of anime. With the team being built around Sena's running ability and Hiruma's strategies, The Deimon Devil Bats are able to overcome every challenger in their way. The Devil Bats show their strength and development when they are able to beat their rivals the Ojo White Knights who are a defensively minded team. With the team only losing two matches after Sena joins the team, their record speaks to the quality of the team that Hiruma was able to build. Each member of the Deimon Devil Bats are strong and quirky characters that were looked down upon by society, but they are able to find themselves and prove that they were capable of anything. The Deimon Devil Bats give you everything you want of a sports team, with likable players, a good record, and the ability to bounce back after suffering from big losses, you'll be hard-pressed to find a team that is better than them. While not all sports teams in anime are created equal, the anime each team is featured in is enjoyable in its own right. 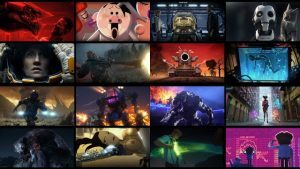 All of the teams could have been number one based on their own merits, with each team featured one of the major elements from the quality of the team members to how well they perform, but some of the teams were able to feature more of the defining traits than others. 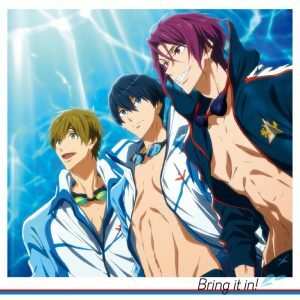 Which sports team in anime is your favorite? Which team do you think should be on the list? Let us know in the comments below.